A lot has happened over the last three weeks at both the national and state levels. These are just a few highlights of topics that may have a significant impact on the cancer community. Recommendation: The American Cancer Society has announced a revised recommendation for colorectal cancer screening to begin at age 45 for those of average risk, rather than the previous guideline of age 50. Lawsuit: The U.S. Department of Justice (DOJ) has decided not to defend a lawsuit brought by Texas and 19 other states. This lawsuit argues that the Affordable Care Act’s requirement to purchase health insurance (aka: individual mandate) is unconstitutional. If the court agrees, then the ACA’s consumer protections for people with pre-existing conditions, women, and older adults will also be eliminated. These consumer protections would not only affect people with individual health insurance plans and marketplace plans, but would also affect those with employer health insurance plans. Because the DOJ has refused to defend the law in court, 17 state Attorneys General have intervened to defend the ACA. If Texas succeeds in their lawsuit, 52 million people with pre-existing conditions could face denial of health insurance coverage or higher premiums. This is incredibly concerning to the cancer advocacy community. Triage Cancer has joined with more than 40 other cancer advocacy groups and many others across the country to share our concern. 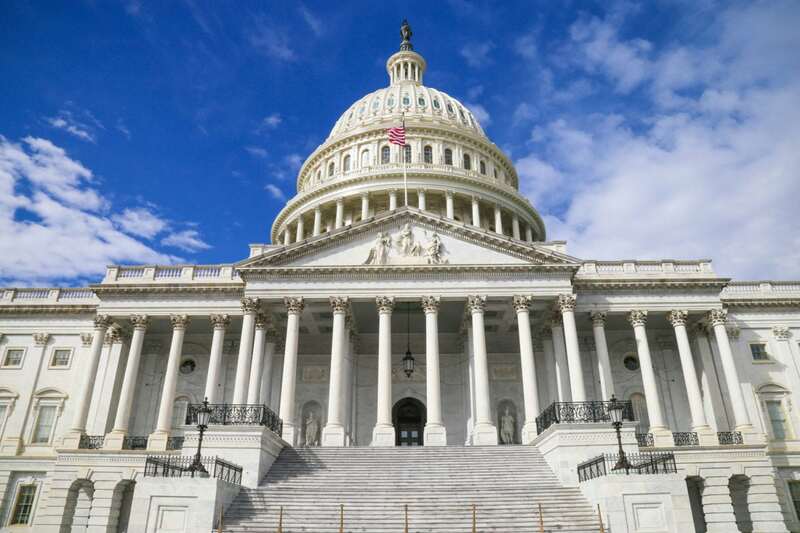 Regulation: The U.S. Department of Health & Human Services (HHS) is considering a proposed rule that would allow people to buy short-term health insurance plans for up to 364 days. These plans were previously limited to 3 months. 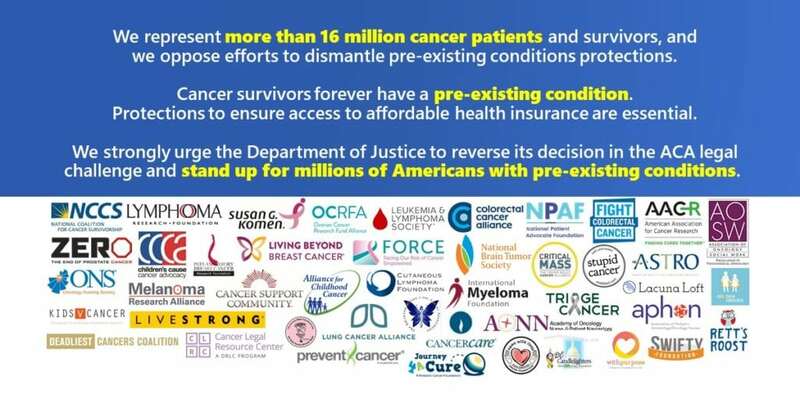 Those in favor of these plans argue that they are less expansive options for health insurance coverage; however, these plans are allowed to deny people with pre-existing conditions, and allowed to charge people with pre-existing conditions more for their coverage, and they are allowed to exclude entire categories of care (e.g., chemotherapy, prescription drugs, mental health care, etc.) The challenge is that consumers are attracted to these cheaper plans, but rarely are they aware of how limited the coverage actually is. The final rule is expected any day, but some states are acting to protect people with pre-existing conditions. Lawsuit: A few weeks ago, a judge in California ruled that California’s two-year-old death with dignity law was invalid due to the time frame in which the state legislature passed the law. This left many patients unsure of their options and doctors unsure if they could legally support their patient’s wishes. Last week, an appellate court ruled that the End of Life Options Act would continue to be in effect while the case works its way through the legal system. If the law does get struck down, it is unclear whether or not the California legislature would pass it again. Laws: In order to stabilize the health insurance market in New Jersey, the state legislature has passed its own individual mandate. Governor Phil Murphy has signed a law that requires New Jersey residents to have health insurance or pay a penalty, similar to the federal requirement. Vermont has also passed an individual mandate beginning in 2020. Massachusetts Governor Mitt Romney (R) was the first to impose a mandate in 2006, whose health reform plan served as a model for the ACA. Law: On June 13, the Michigan legislature presented a bill to Governor Rick Snyder for his signature, which imposes a work requirement to access Medicaid coverage. He is expected to sign the bill, but Michigan must also get federal approval for the work requirement to begin. That is also likely. The bill requires that starting in 2020, adults age 18 to 62 must show “workforce engagement” averaging 80 hours a month — through work, school, job or vocational training, an internship, substance abuse treatment or community service. Law: Virginia Governor Ralph Northam signed a bill to expand access to Medicaid coverage for 400,000 low-income adults in 2019, under the ACA. While this was a significant step towards expanding access to care in Virginia, the state also opted to include requirements to work and pay premiums to remain eligible, which may be difficult for people with disabilities and family caregivers. This proposal must be approved by the federal government. Law: Connecticut’s legislature re-expanded Medicaid eligibility from 138% of the federal poverty level (FPL) to 155%, which covers even more people than the ACA. Law: New Hampshire reauthorized its Medicaid expansion for another five years, through 2023, which covers nearly 50,000 people. Lawsuit: If you have been following our state update blogs, you may recall that in November Maine voters approved a ballot proposition to expand Medicaid coverage in Maine, which the Governor LePage has refused to implement. So, in April, advocacy groups in Maine filed a lawsuit to force the Governor to implement the expansion. The judge in that case has ordered the state of Maine (and the Governor) to submit a plan for expanding Medicaid to CMS. The Governor is appealing that decision, which will likely be decided in July or August. However, under the ballot proposition, Mainers were supposed to be eligible for Medicaid expansion on July 2. While we don’t know how things will turn out, it is likely that Maine will eventually expand coverage especially as LePage is terming out of office. 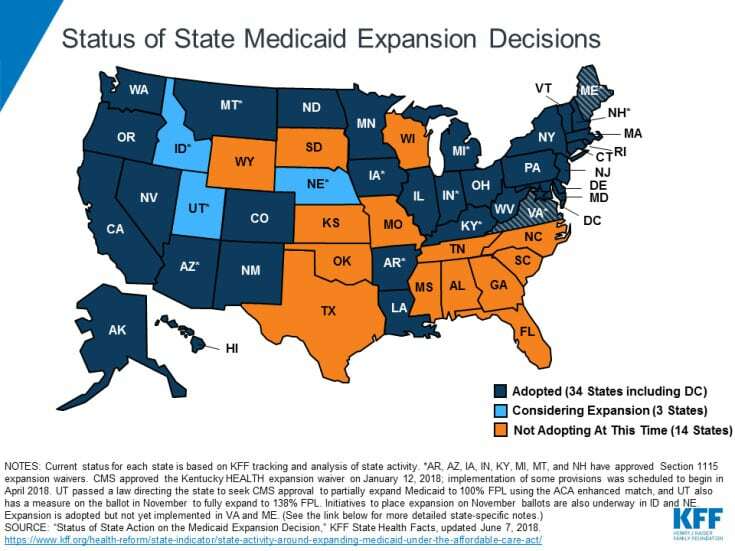 There are four states that are looking to expand Medicaid coverage through voter ballot initiatives in the fall: Utah, Idaho, Nebraska, and Montana. Note: Montana currently participates in Medicaid expansion, but the program will end in 2019, if it is not extended by the legislature or the ballot effort. 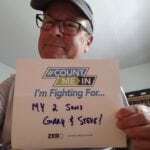 The initiative has made the November ballot in Utah, Idaho has until July 5 to certify there are enough signatures to get it on the ballot, and signatures are still being gathered in Montana and Nebraska.